Learn how to make ham glaze recipes which will change the whole flavor of the ham. When learning how to bake a ham, special ingredients like brown sugar, honey and various fruit juices (and there are many more) add to the delicious flavor of a home baked ham. Because of the high salt content so commonly found in ham, we often look for ways of cutting the salty taste. Many of the products used in ham glazes like sugars, fruit, fruit juices and Coca Cola products do just that. Wines and vinegars added to glazes also help gut fat and salt taste. Note: Cook hams to internal temperature (away from bone) of 160F degrees on meat thermometer. Combine the corn syrup, water and vinegar. Remove skin from hot cooked whole ham. Score fat in diamond pattern and place a clove in the center of each scored section. Place ham on a rack in a shallow pan. Pour syrup mixture over surface of ham. Bake in oven at 325F degrees for 1 hour, basting frequently until brown. For a quick glaze, pour only the corn syrup from the bottle over surface of the cooked ham. Bake in a hot oven 400F degrees for 10 minutes. Remove ham from oven and pour more syrup over the ham. Return to hot oven and bake 10 more minutes or until brown. Easy glaze recipes offer delicious variations to taste. Drain peaches reserving ½ cup of liquid. Set peaches aside and put liquid in large skillet. Add sugar and mustard to the skillet. Cook 2 minutes or until mixture is slightly reduced. Add ham; cook 2 minutes on each side; REDUCE HEAT to low. Add peaches and green onions to ham. Cover and cook 3 minutes until peaches are thoroughly heated. Any one of the following list can be used as ham glazed recipes. 1 Cup brown sugar combined with 1 cup apple juice. Pat brown sugar over ham; place drained pineapple slices over top and maraschino cherries in center of each slice. Fruit can be attached with toothpicks. Use pineapple juice for basting. Canned pineapple juice, cider, canned fruit nectar, maple syrup, grape juice or wine can be used for basting. 1 Cup honey and grated peel of ½ orange; spread on ham 45 minutes before removing from oven. 1 ½ Cups red jelly and ½ cup hot water; spread over ham 30 minutes before removing from oven. Blend cornstarch, pineapple juice, sugar and water; cook over medium stirring until thickened. Add well drained pineapple tidbits and cherries; stir until hot. Serve with sliced baked ham. Combine orange juice sugar finely chopped prunes and apricots in saucepan. Heat mixture over medium until boiling; blend cornstarch with water until smooth. Blend cornstarch mixture into boiling fruit mixture; stir and cook until thickened. Combine ingredients in small saucepan and heat until sugar is dissolved. Baste precooked ham with glaze every 20 minutes. Although orange is a fruit used in many of the ham glaze recipes and adds a lot of flavor, in this one the apricot preserves make it special. Combine ingredients and heat until warm; baste ham frequently while baking. Unlike the ham glaze recipes, the following is for raisin sauce recipe which is served with the ham to give added flavor. The many flavors in it like the raisins, orange and spices blend well with the ham. Combine all ingredients in a saucepan; cook over medium heat stirring until thickened, about 2 minutes). 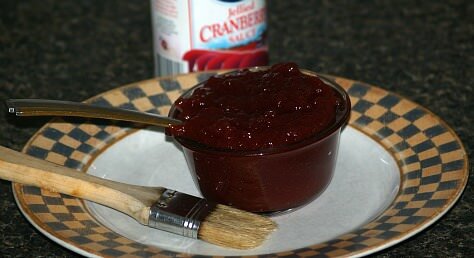 This is another version of the raisin sauce recipe to serve with ham in place of or along with ham glaze recipes. Combine all ingredients and cook over low heat stirring until thickened. Combine juice, soy sauce, apricot preserves, pineapple, cherries and cornstarch; cook over medium heat until preserves melt and mixture begins to thicken. Pour over ham and baste with drippings during last 45 minutes of cooking. Combine and baste ham frequently during last hour of cooking. Combine and spread over top of ham; baste with pineapple drippings in pan. Heat and stir until sugar is dissolved; baste ham frequently. Cook over low stirring until jelly is melted. Brush over ham several times during baking. Combine and stir together ¼ cup pineapple juice and cornstarch in a small saucepan. 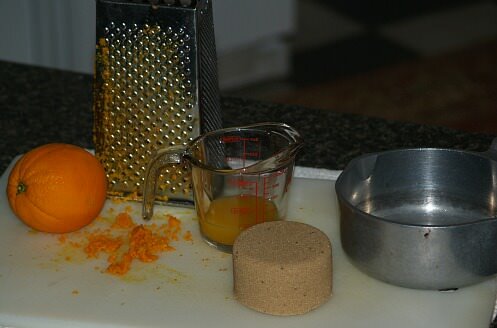 Add remaining juice and remaining ingredients; bring to a boil over medium heat. 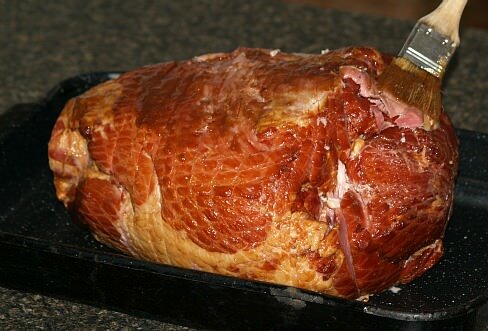 Cook until glaze is slightly thickened and translucent; brush over ham during baking. Combine cherry liquid and cornstarch in small saucepan stirring until smooth. Add Burgundy, vinegar and corn syrup; bring to boil over medium stirring constantly. Stir in lemon juice; stir until slightly thickened and translucent. Measure ½ cup of glaze for brushing ham during baking. Stir cherries into remaining glaze; heat slowly to serve with ham.